Mae Among The Stars is an inspiring story, beautifully written by Roda Ahmed and illustrated by Stasia Burrington. 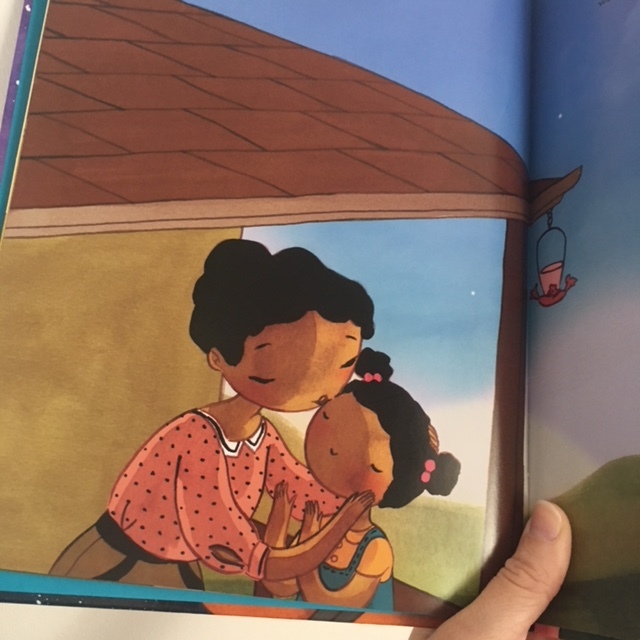 This book tells the moving story of a little girl with a dream. 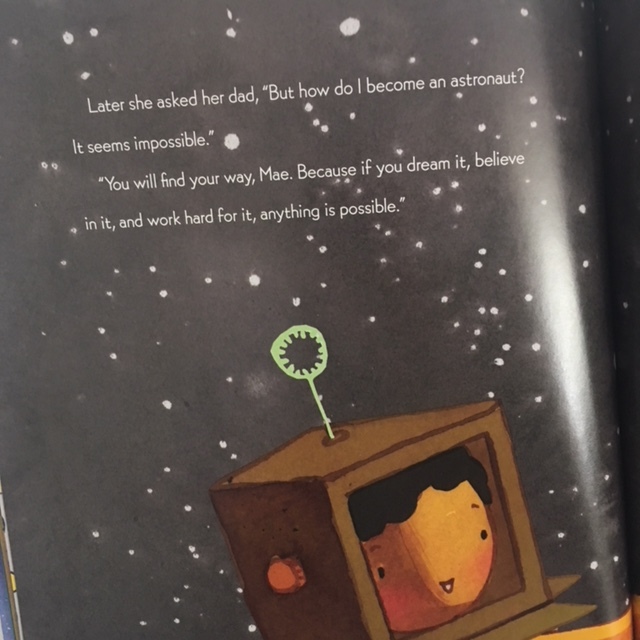 Mae wants to see Earth from space, but to do that she has to become an astronaut. Lucky for Mae, she has amazing parents that encourage her and teach her that she can do anything she sets her mind to. Even when others think she should have a dream closer to home, her parents’ words inspire her to keep going. This is a beautiful story about believing in your dreams and never giving up. My children cheered to learn that this was a true story of Mae Jemison; a girl that dreamed big and worked hard to achieved her goal and became the first African American woman in space. So dream big my sweet children and children everywhere. Believe in yourself even when others don’t. Don’t let others stop you from reaching for your dreams. Only you can stop yourself from trying. And trying can be even more important than reaching your goal.